Cécile Decugis is well known as one of the key film editors of the French Nouvelle Vague. Generations of students, first at IDHEC, then at Fémis, regarded her as a stimulating and iconoclastic teacher. But her work as a filmmaker is less well-known. The programme she designed in collaboration with Nicole Brenez to showcase her films at the Cinémathèque française was screened on September 22nd, 2017, just a few months after she died on June 11th. It introduced audiences to a whole new aspect of her career. Cécile Decugis was born in 1930. In 1953, she got her first cutting- room traineeship on Éric Rohmer’s unfinished Les Petites filles modèles and then on Max Ophüls’ Madame de… Joining Pierre Braunberger’s team, she worked as assistant to Myriam, the celebrated film editor of Sacha Guitry, Nicole Vedrès, and Roger Leenhardt. 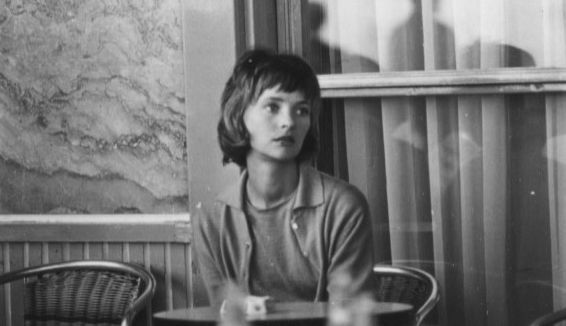 In 1957-1958, she edited a few shorts that prefigured the Nouvelle Vague, like Truffaut’s first film Les Mistons. Moonlighting from her work for Braunberger, she helped Godard with Tous les garçons s’appellent Patrick. Next came Breathless, which brought about a revolution in film editing, something she claimed was entirely to Godard’s credit. “He knew exactly what he was doing and treated his film, his own film, with a lack of reverence which I found impressive”. In February 1960 Decugis started cutting Shoot the Piano Player. Work was interrupted by her arrest, for having rented an apartment in her own name to shelter a leader of the FLN. Sentenced to five years’ imprisonment, she was released after two years. Decugis cut films by Jean-André Fieschi, Luc Moullet, Werner Schroeter and above all Éric Rohmer – nine films in all, from My Night at Maud’s to La Femme de l’aviateur – as well as becoming a respected teacher, but she remained very discreet about her own activity as a director, occasionally asking friends and acquaintances to rare screenings of her latest works. Il Cinema Ritrovato is showing two programmes of her films, beginning with Les Réfugiés (La Distribution de pain), an account of life in a camp on the Algerian-Tunisian border in 1957 that reminds us that the reality of Las Hurdes was not dead, and moving on to fiction works, sometimes like a woman’s version of Rohmer’s Contes Moraux, to Super8 chronicles pared down to their bare essentials, and to film essays. “Every time you get out in the open, every time you leave those four walls, things become riveting, streets, cafés, restaurants”, says one of the characters in Italie aller retour, her personal take on Viaggio in Italia, shot during the Venice Film Festival presentation of Full Moon in Paris, which she had edited. Cécile Decugis said she belonged to the “Lumiè re school of cinema”. “When you look at a photograph from the first or second decade of the twentieth century, it’s extraordinary, it’s alive”. And at the end of her trajectory she did look at these photographs – in a film about her own family entitled René ou le roman de mon père.